Taylormotive offers the best auto repair in North Vancouver. We try to anticipate questions you might have about our collision repair or other auto repair services and provide the answers here. If you need additional information about Taylormotive automotive services send an email to collision@taylormotive.com. If your automobile has been in a collision, you need to be sure the repairs are performed correctly and excellently. As a certified ICBC collision repair shop, Taylormotive in North Vancouver offers state-of-the-art collision repairs that are guaranteed for the life of your vehicle, giving you both confidence and peace of mind when getting back out on the road. What Is ICBC Collision Repair? By law, the Insurance Corporation of British Columbia (ICBC) provides mandated universal auto insurance for all vehicles registered in British Columbia, providing basic coverage to all BC drivers, plus optional collision coverage to those to want it. While this auto insurance pays like any other insurance in case of accidents or damage, ICBC specifically certifies approximately 400 auto body shops throughout B.C. as “ICBC c.a.r. 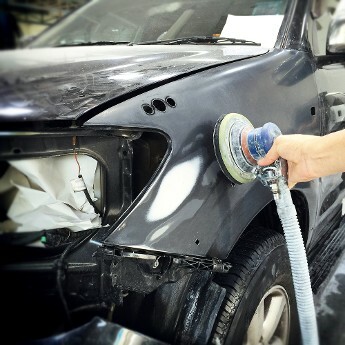 shops” — collision repair facilities that meet their strict standards for quality repairs. Taylormotive is proud to be listed as an ICBC collision repair shop in North Vancouver. Why Use an ICBC Collision Repair Shop? Under ICBC, you always have the option to taking your vehicle to an auto body shop that is not certified by ICBC. However, not all these shops guarantee their work, or if they do, the guarantee has restrictions. For critical or delicate collision repairs, this can be costly at best and unsafe at worst. By contrast, repairs performed at a certified ICBC shops are guaranteed for as long as you own the vehicle, so you can continue driving with confidence knowing the repairs have been done correctly, and if your repairs do fail, you are fully covered for return visits to the shop. For over 60 years, Taylormotive has been providing top quality auto repairs and service in North Vancouver, and we continue to hold to high standards of excellence in everything we do. This is why we are listed as a certified ICBC collision repair shop, and why you can trust us with your auto collision needs. For more information or to schedule an appointment, call us toll-free at 855-498-3061. How do I make a collision repair claim? The first step in making an insurance collision repair claim is to contact your insurance company. Taylormotive is a certified ICBC c.a.r. shop Valet collision repair Facility. If you are insured by ICBC you can either call the dial-a-claim phone number, (604) 520-8222, or go to the ICBC website. Follow the directives that ICBC gives you. They will either give you an Express claim number, or book an appointment for you to bring your vehicle to an ICBC claim centre. If you go to the claim centre, ICBC will do the estimate for you. Once this has been done you can either drop by our office, call, or email us to make an appointment for your collision repair. If ICBC gives you an express claim number over the phone, you can come directly to our shop for the estimate. If you are insured privately, contact your private insurance provider to get a claim number. Once this has been done you can come directly to Taylormotive for the collision repair estimate. Do you have courtesy vehicles? What if I prefer a rental car? Is there a charge? Taylormotive has its own fleet of courtesy vehicles that are offered for all insurance and private repairs, given a few stipulations are met. If you have purchased Loss of Use through your insurance company, you may receive a rental if so desired. There is no charge for a courtesy car; however we do require a credit card to secure the vehicle. If there are no fleet vehicles available at the time of your appointment, Taylormotive will cover the cost of a rental. Yes. We have a shuttles available during your automotive service that will pick you up or drop you off anywhere on the North Shore. Not for an estimate. You can drop by anytime between 8am and 5pm, Monday to Friday. If it's an insurance clain estimate for collision repair, we will need your claim number and insurance papers. Typically an automotive repair estimate only takes a few minutes. If I have Private Insurance, can I choose my own collision shop? Absolutely. You have the right to choose where to have your auto repair in North Vancouver completed. When reporting your claim let your insurer know where you would like to have your auto repair completed. Your insurance company should not attempt to influence your decision regarding where to have your vehicle repaired and is obligated to cover the reasonable costs of repairing your vehicle no matter where you have your vehicle repaired. Is my auto repair guaranteed? Taylormotive is proud to offer the best automotive repair warranty in the industry. We offer a lifetime warranty on all paint and body repairs, as long as you own your vehicle. Can I pay personally for a collision repair job? Which types of payment do you accept for auto repairs? We accept Visa, MasterCard, American Express, Interac (debit) and cash payment for your auto repair. Can you waive or discount my deductable for collision repair? No. We cannot modify the auto repair costs of an insurance claim to help you pay your deductible. Only your insurance company is able to waive your deductible. Misrepresenting the cost of your repairs constitutes fraud. This length it will take to complete your auto repair can only be answered after the vehicle has been seen by one of our estimators. The length of time that your vehicle will be in the shop depends on many different factors (i.e. parts ordered, extent of the damage, etc.). We will try to give you a close approximation once the vehicle has been seen, however this can always change due to unforeseen circumstances. You can always be kept up to date on progress of your collision repair by checking our online repair status (LINK) or by contacting our shop. We also provide you with detailed information about our collision repair process, so you know what to expect. Can I get mechanical work done while my vehicle is in the body shop? Absolutely. Taylormotive has a full service auto repair shop as well as a body shop. We would be pleased to co-ordinate any mechanical repairs needed while your vehicle is in the body shop. Taylormotive is open for service and auto repair Monday through Friday, from 8:00 AM to 5:30 PM (excluding holidays). What kind of paint will be used on my vehicle? Taylormotive is proud to be the first auto body shop on the North Shore to have switched over to eco-friendly waterborne paint. Waterborne paint uses water as its primary solvent, as opposed to solvent based paints which use chemical compounds, greatly reducing the amount of harmful emissions released into the atmosphere. Is there parking at your auto repair shop? Yes, there is free street parking on both sides of Pemberton Avenue. Taylormotive also has a large parking lot in front and to the side of our building. If these spaces are not available there is also a large gravel parking lot at the rear of our building.